Clayton Library Friends and Bay Area Genealogical Society are excited to announce their Symposium to be held on August 6, 2016 from 10:00 am to 4:00 pm in the Rice Memorial Student Center Grand Hall, Rice University Campus, located at 6100 Main Street, Houston, Texas 77005. As a member of both of these excellent organizations, I highly encourage you to attend. Just because Great Aunt Mable said your ancestor was from Scotland, doesn't mean that she was. Learn how to uncover the truth behind family legends and stories, and how to integrate them into your personal writing and research. Effective Internet searching cannot be complete without clustering. Learn how to limit your search engine results to websites that will be beneficial to you without having to scroll through thousands of results! Strong emphasis is put on learning and using "Yippy," and other search engines. Follow a family from the early 1800s to the early 1900s as they migrated from Pennsylvania to Idaho Watch as records from the home (family bibles and letters) are combined with newspapers, tax records, census records, cemetery records, family files, and other records to compile the family. D. Joshua Taylor, MA, MLS is a nationally known and recognized genealogical author, lecturer, and researcher and a frequent speaker at family history events across the globe. Passionate about family history, Joshua is the President and Executive Director of the New York Genealogical & Biographical Society (NYG&B). He also serves the genealogical community as the President for the Federation of Genealogical Societies (FGS). He is the recipient of numerous awards and honors, including RootsTech's Distinguished Presenter Award, the Federation of Genealogical Societies Award of Merit, and the Rubincam Youth Award from the National Genealogical Society. The former Director of Education and Programs at the New England Historic Genealogical Society, Joshua is the author of numerous articles in American Ancestors, UGA Crossroads, FGS Forum, Association of Professional Genealogists Quarterly, New England Ancestors, and other publications. In 2013 he authored "The Keane and Sheahan Families of Bridgeport, Connecticut," a study of a family's immigration and life in New England after the Irish famine. He is also the coordinator for courses at the Salt Lake Institute of Genealogy and the Genealogical Research Institute of Pittsburgh. 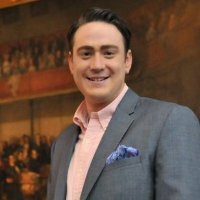 He holds an MLS (Archival Management) and an MA (History) from Simmons College and has been a featured genealogist on Who Do You Think You Are? with Sarah Jessica Parker, Kelly Clarkson, Ashley Judd, Reba McEntire, and Rob Lowe. At the present time Joshua can be seen taking America through their past as a host on the popular PBS series Genealogy Roadshow. The cost of the Symposium will be $55 for CLF and BAGS members OR $65 for non-members. Registration at the door, if room is still available, will be $75. I will be there and I look forward to seeing you there! P.S. If you are a fan of the PBS Genealogy Roadshow like me, you won't want to miss the BAGS meeting this Friday night at 6:30 PM. Helen Mooty, one of the guests on the Houston episode of Genealogy Roadshow will describe her experience of applying, being selected and being filmed. In addition, I will be there passing out cake, as there is no better way to celebrate my birthday!